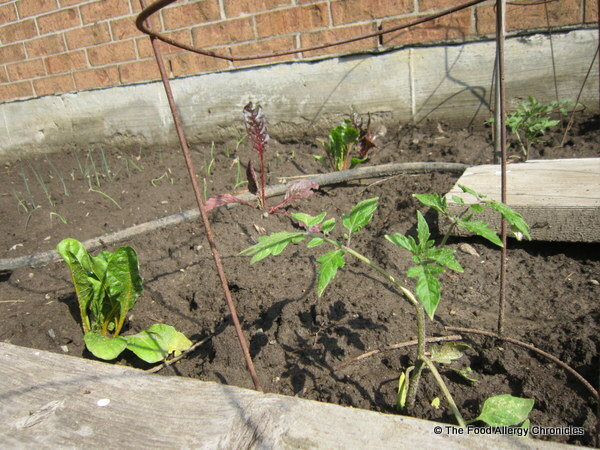 Posted on May 31, 2013 by Susan H.
I do believe spring has finally sprung here in Southern Ontario…time to plant the vegetable garden. 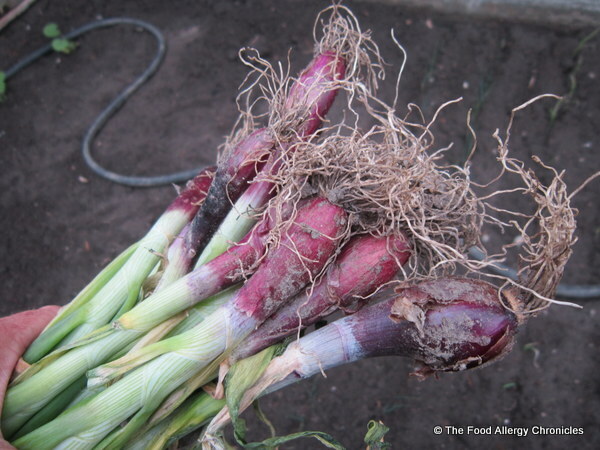 Check out the red onions we discovered from last year’s garden! I just love spring…a time of rejuvenation. 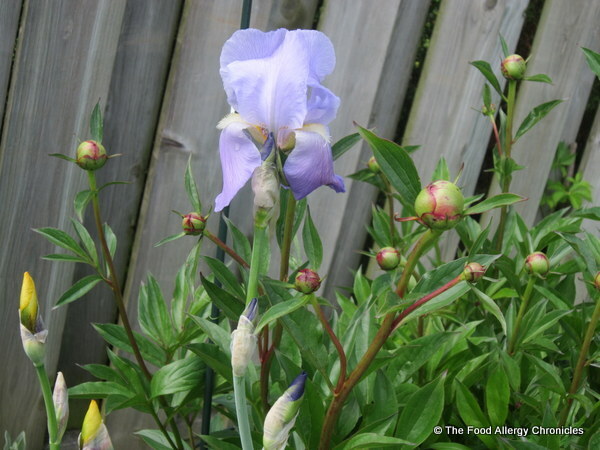 I am so looking forward to seeing this Peony blossom with the surrounding yellow and purple Iris. This Peony is part of the family…it originated from Andy’s grandmother’s garden. Over the past couple of years, I have been neglectful of my perennial garden, so the oregano made its way in and took it over. Luckily, I managed to salvage my Shasta Daisies and Iris making room for a Peony I inherited from a neighbour’s garden. Tomatoes, cherry tomatoes, leeks, swiss chard, Vidalia onions and zucchini, oh my! A corner of fresh herbs…parsley, thyme, basil, coriander, chives, garlic chives, and rosemary…now I just need to find some beets. I am already envisioning some of our favourite summer dishes with our fresh garden veggies…Michael’s favourite Bruschetta and Bruschetta Pasta with our tomatoes, Fresh Corn Salad with our fresh herbs, leeks, Vidalia onions and zucchini barbecued on the grill and how about some Zucchini Muffins! Fresh garden vegetables are the bomb! What will you be planting this season? 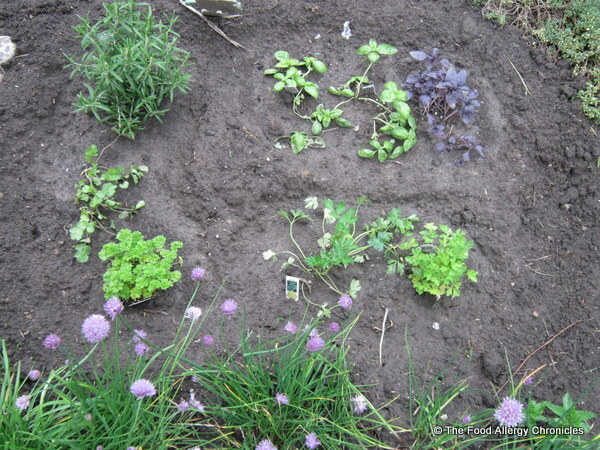 This entry was posted in vegetables and tagged vegetable and herb garden by Susan H.. Bookmark the permalink. Hope your enjoying the heat here in Ontario! It’s a hot one today! I got my garden going too. But my only thing I’m not sure of is my tomato plants on the lower leaves, they are slightly yellowed…I’m not sure why. I neglected my garden last year but I am more determined than ever. We’ve gotten so much rain in the last couple of days it should be from lack of rain.